Mealtime: the very word can send parents of all experience levels into a harried state, breaking them out in a cold sweat. Whether their child is a picky eater, a grumpy eater, a messy eater, or a non-eater like mine, it’s incredibly difficult to ensure this tiny person is receiving all of the nutrients and calories they need in a day; especially if they refuse to eat at all. My daughter was having issues with gaining weight adequately, and like any mama, I was worried. I was able to catch up with her pediatrician, Dr. Margaret Lodua (using a pseudonym here to protect her identity :)), to see what I could do and if I could help other parents who might be facing similar dilemmas. Kiddo Doesn’t Eat a Variety? Try This. When it comes to a day in the life of a toddler, eating seems to be something that is an afterthought, rather than the main focus of their day like many (read: me!) adults. Some toddlers do not eat a large variety of foods, and the reasons for these are as varied as the personalities of different toddlers themselves. Consider mixing nutritious and calorie-dense foods into their favorites–for example, if your kiddo is a big fan of yogurt but hates veggies, steam or boil typically bland ones like sweet potatoes and carrots. Mash it well, and once it’s cooled completely go ahead and add that into their yogurt in small doses, gradually increasing the amount of the vegetable present until it’s at least 50/50 with the yogurt. This same hack goes for mac and cheese, mashed potatoes, sandwiches, (spreading the mixture thinly alongside mustard, ketchup or mayo) and more. 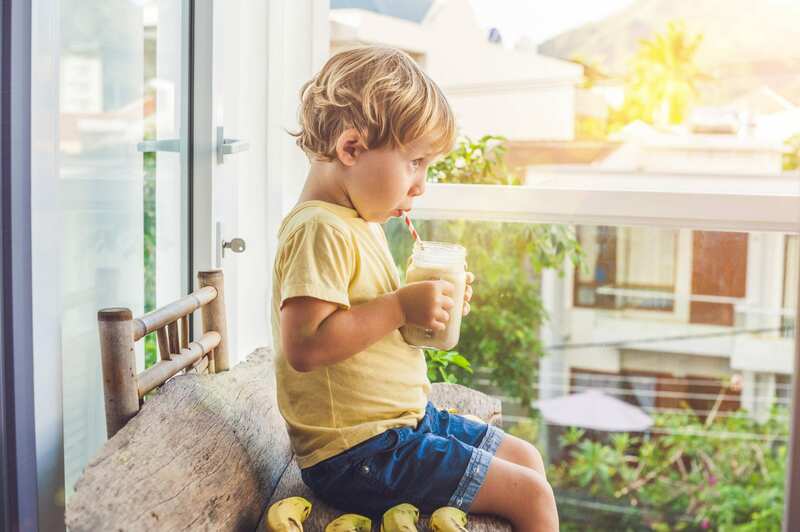 Though this is a sneaky way to go about it, your child will still get the nutrients that Dr. Lodua points out as being vital–and whether they know they’re eating it or not, their body certainly knows it. Breakfast, an early lunch, a late lunch (ideal after a nap) and then dinner at least 2 hours before bed. “This gives the child time to digest, but not as much time to play and burn those necessary calories off–but be sure to brush her teeth before bed!” Dr. Lodua recommended. “This feels so counterintuitive to what we tell adults and older children, because most people do not need to be eating when sitting down or doing other activities. In the case of getting a child to gain weight though, it’s important to allow them to have something nutritious but calorie-dense on hand” says Dr. Lodua. She recommends Cheerios, (high in iron and the variety present is hard to beat with different flavors!) peanut butter granola bars cut into very small pieces, and organic cheese and crackers in small bites as well. Naturally, these smoothies are great calories boosters and full of vitamins and calories, as well as a healthy protein. Dr. Lodua cautions not giving the smoothie in the place of a mealtime, but rather after an unsuccessful one–but not late at night, as a good smoothie might hold your petite one off from becoming peckish, even at breakfast. As with anything else, be mindful of allergies and food intolerances with your little one: even switching brands could aid or halt in the gaining or eating a variety process. If your child’s weight loss or inability to gain continues, consider making an appointment with their doctor to assess the situation further. Sometimes, though, your child might simply be a picky eater–and as long as they’re gaining well, using the bathroom regularly, being offered a variety of healthy options, and acting normally, then all is likely well and will improve as they continue to age. Do Toddlers Really Need Probiotics?